From a design point of view, this photo is fantastic. Mt Everest is not in tibet. The way the information is being shown is wrong.It says Mt Everest,Tibet. Mt Everest is in Nepal.Though it is accessible and can be seen from Tibet.Mt Everest lies in Nepal.I would be glad if the information is corrected. 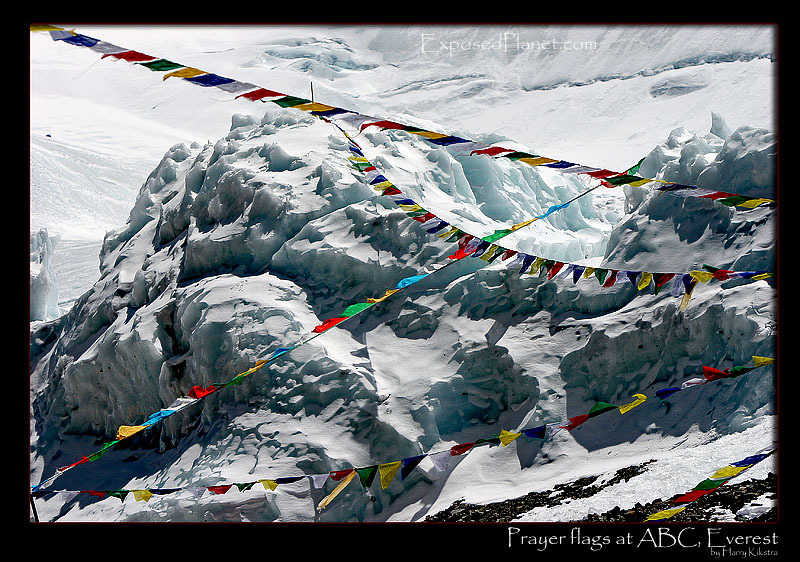 The story behind "Prayerflags at Advanced Basecamp on Mount Everest, Tibet"
The long strings of coloured prayerflags give some extra colour to ABC against the backdrop of the age old Rongbuk glacier.